In order to meet complex quality and environmental requirements, we have implemented an integrated quality and environmental management system in companies of Energenas group. 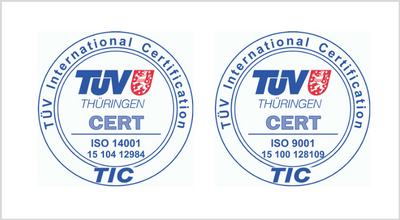 Most of our companies now meet stringent requirements of ISO 9001: 2015 and ISO 14001: 2015 standards. We commit ourselves to further improving the procedures for achieving quality and environmental goals: to comply with environmental laws, standards and other legal acts, to seek to properly manage the processes, pay special attention to the economical and rational use of resources and effective measures for the prevention of pollution. Continuously look for ways to optimize the use of energy resources in our activities, to carry out pollution prevention and to comply with legal requirements for environmental protection. We undertake to periodically inspect, improve and properly implement established quality and environmental policies. We are confident that this system helps to plan, develop, maintain, analyze and improve the organization’s activities.